David Hyde Pierce Will Join Bette Midler in Hello, Dolly! Come spring next year, we will be putting on our Sunday clothes and heading to the Shubert Theatre! 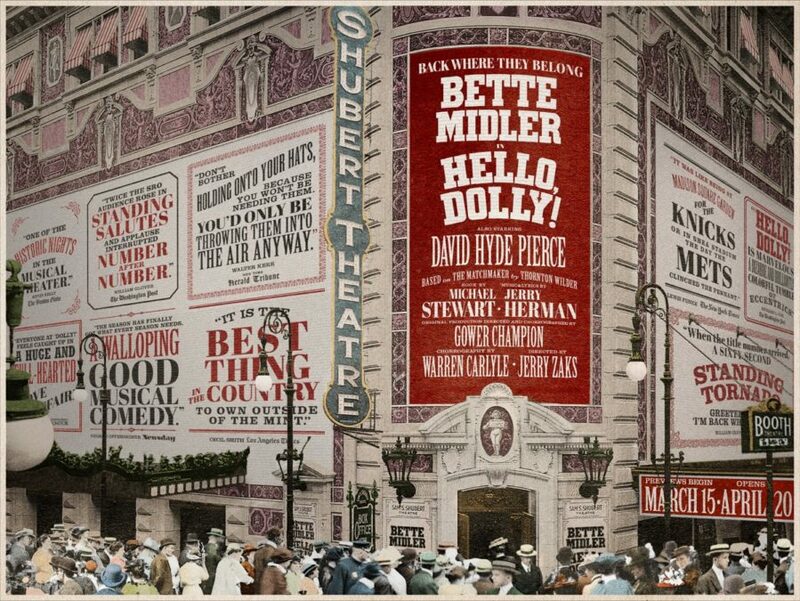 The much-anticipated previously reported revival of Hello, Dolly!, headlined by Bette Midler, will begin performances at the venue on March 13, 2017. We also now know that Tony winner David Hyde Pierce has boarded the production, which will be directed by four-time Tony winner Jerry Zaks and choreographed by Tony winner Warren Carlyle. The show is scheduled to officially open on April 20. Pierce won the Tony for Curtains and was nominated for his work in Vanya and Sonia and Masha and Spike; his additional Broadway credits as a performer include La Bête, Accent on Youth. Spamalot and The Heidi Chronicles. He directed the Main Stem production of It Shoulda Been You last season. Pierce is perhaps best known for playing the psychiatrist Dr. Niles Crane on NBC’s Frasier, for which he won four Primetime Emmy Awards for Outstanding Supporting Actor in a Comedy Series. Featuring music and lyrics by Jerry Herman and a book by Michael Stewart, Hello, Dolly! tells the story of an outspoken matchmaker and her attempts to marry "half-a-millionaire" Horace Vandergelder. This production will mark the first mounting of Hello, Dolly! on Broadway since 1995, which was headlined by original star Carol Channing. A 1969 film adaptation starred Barbra Streisand in the titular role. Further casting will be announced later. Matilda, the current occupant of the Shubert, is scheduled to close on January 1, 2017.